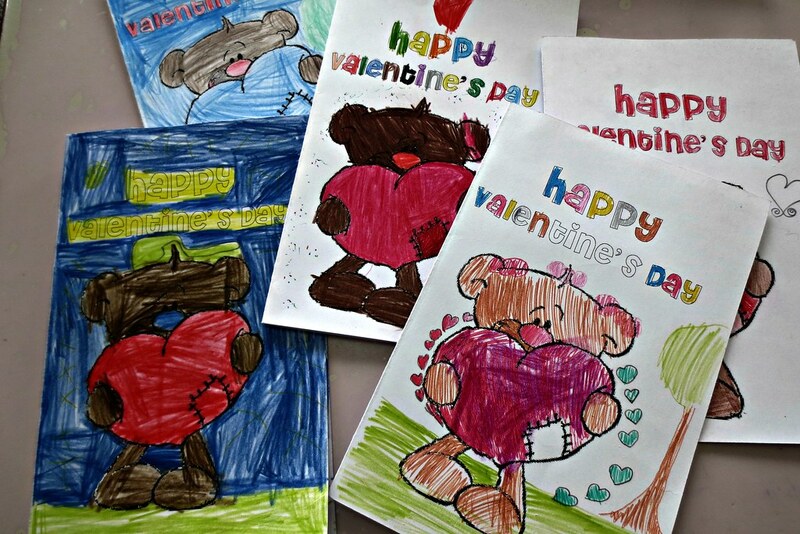 Last week was a mix of traditional and unconventional Valentine’s Day celebrations. 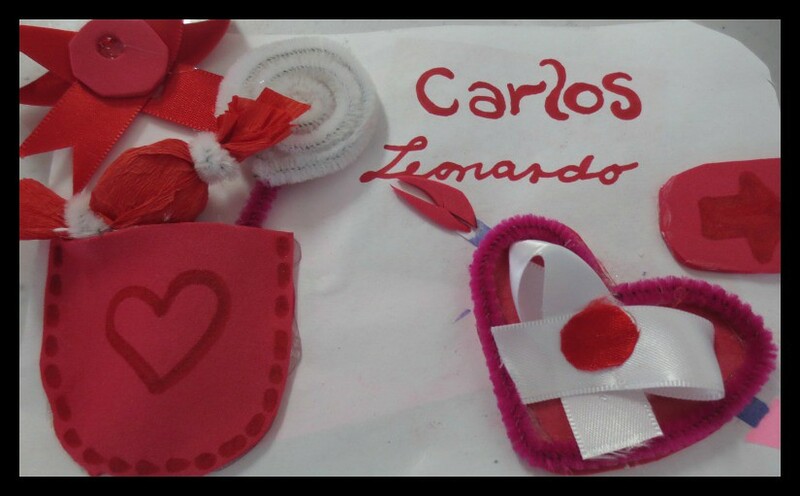 Here were some of their beautiful creations. 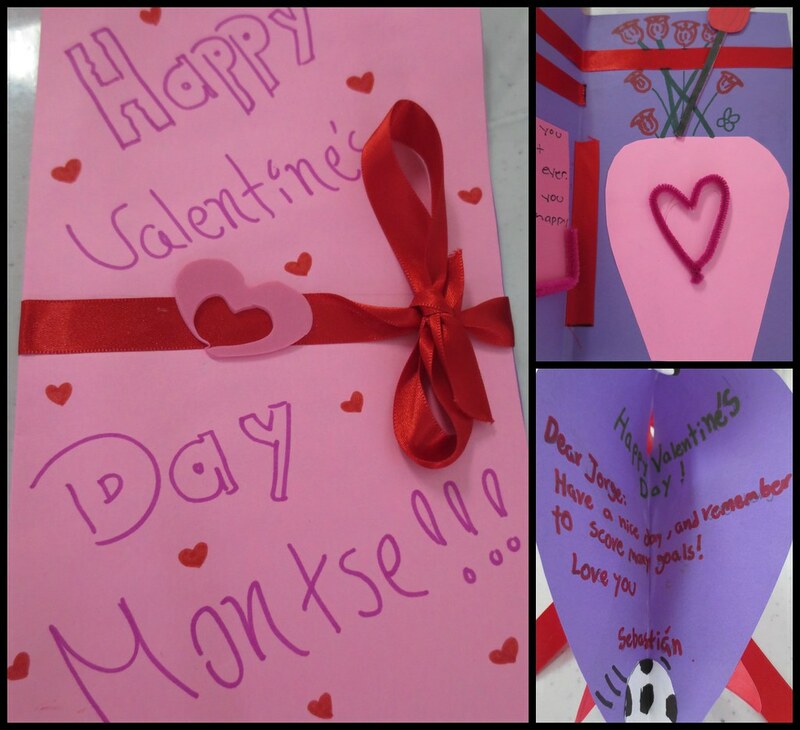 On Friday, we met to exchange heartfelt cards and spend time together. 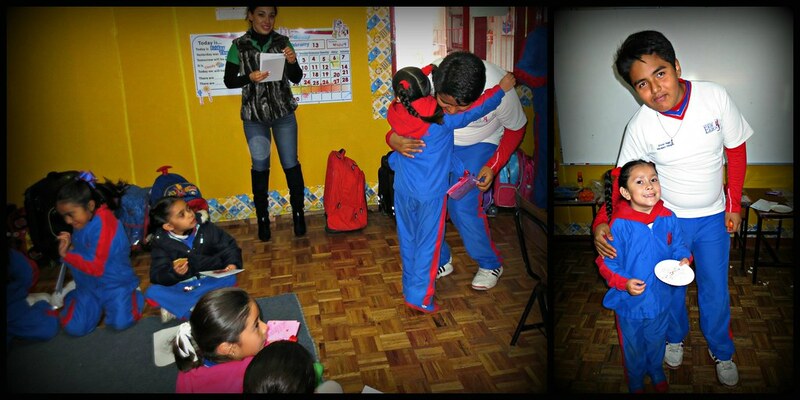 It was comical to see how some of the 6th graders towered over their transition child, especially for “un abrazito” or a little hug. 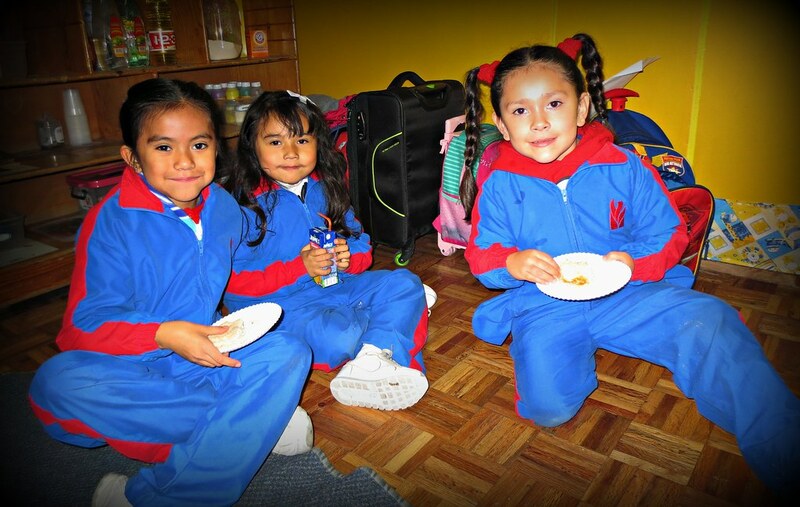 These transition children are absolutely precious and very well-mannered. 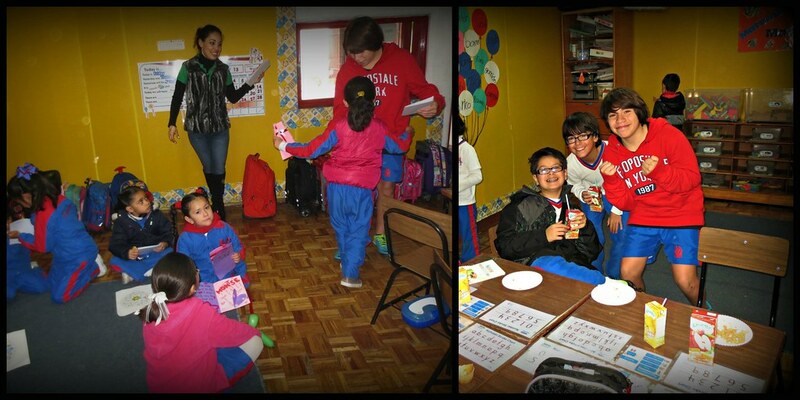 Both grades had a great time during the party and were surprising still hungry for lunch. 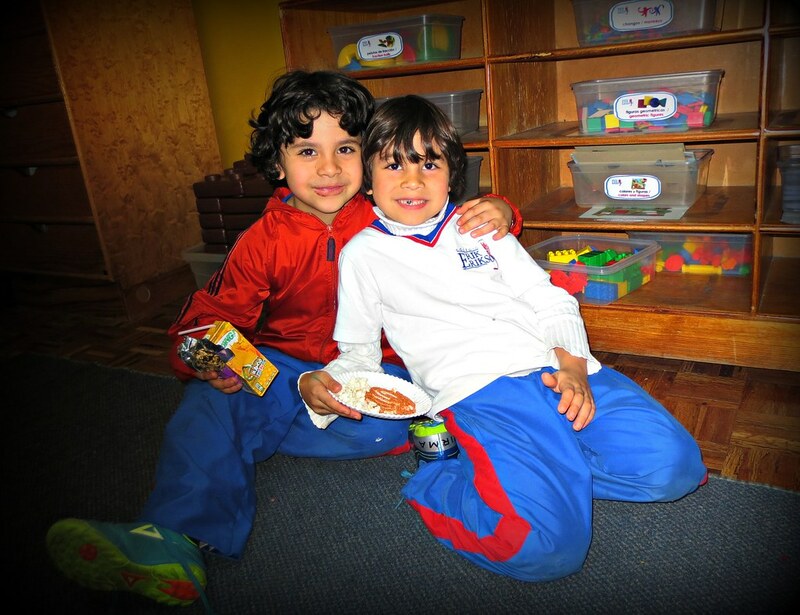 🙂 Overall, a wonderful way to help these little tikes feel more comfortable in this new school and give the older kids a feeling of responsibility. 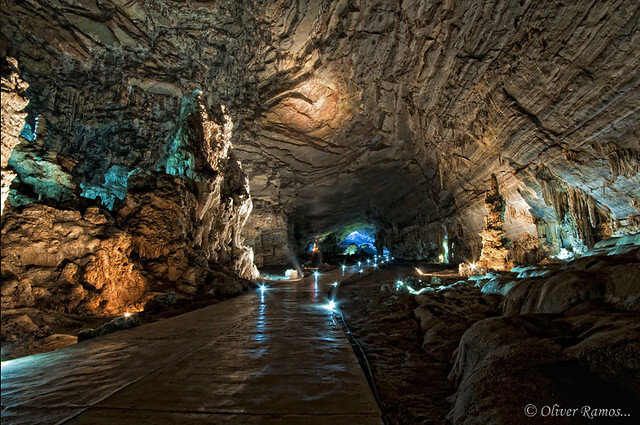 In the state of Guerrero exists one of the largest caving systems in the world. 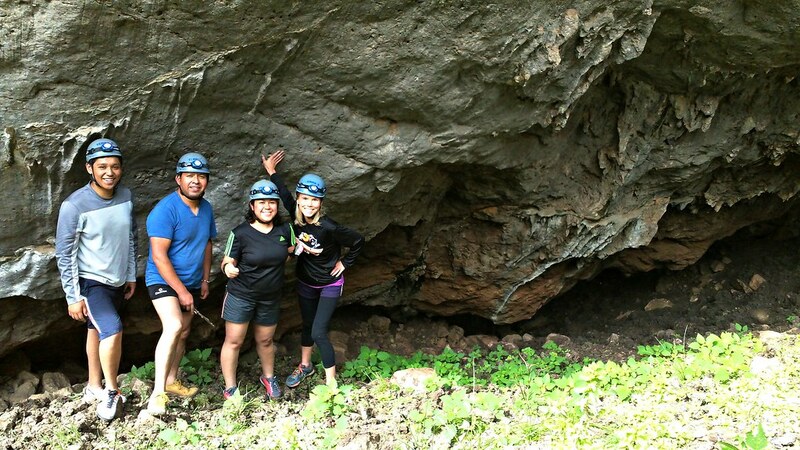 Grutas de Cacahuamilpa is part of Sierra Madre del Sur, which is one the largest caves in the world and the most well-known in Mexico. 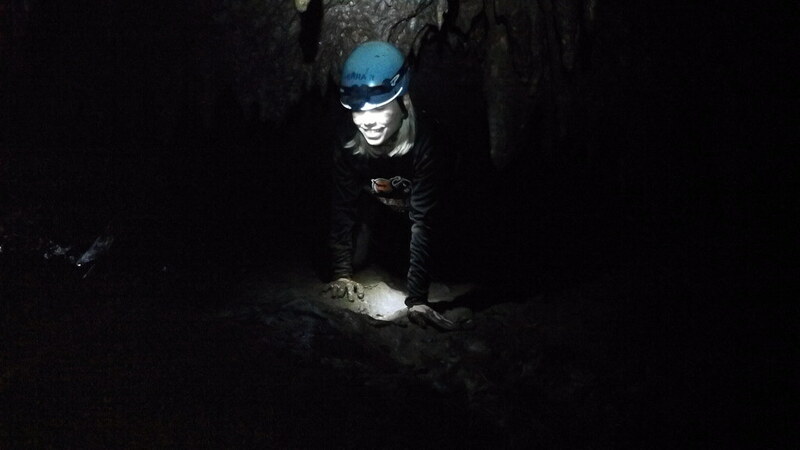 It is a live cave system, since groundwater stills filters into the cave and various stalactite and stalagmite formations are still growing. 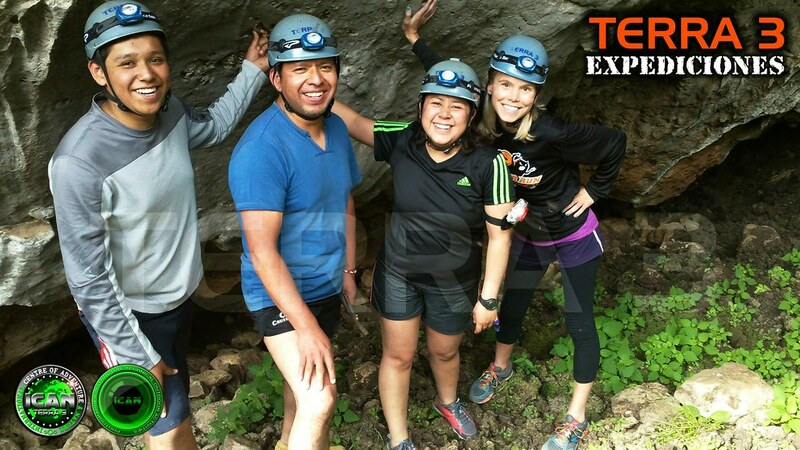 I organized an expedition with Terra 3 Expediciones that took us spelunking in the cave next to Cacahuamilpa. 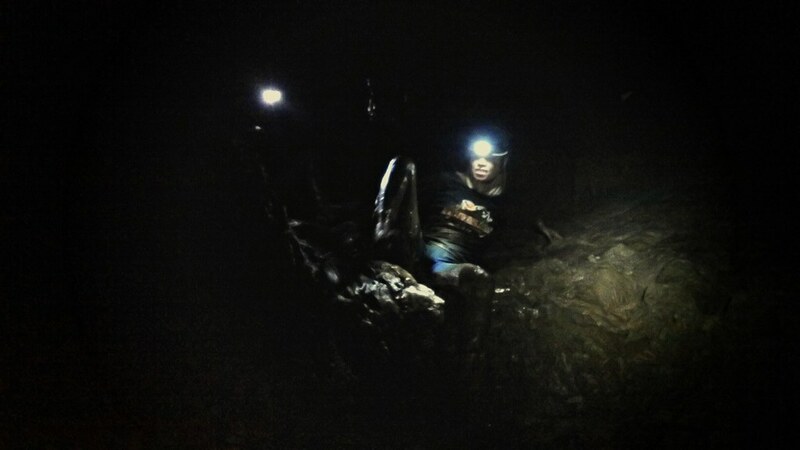 Spelunking: the practice of exploring caves. 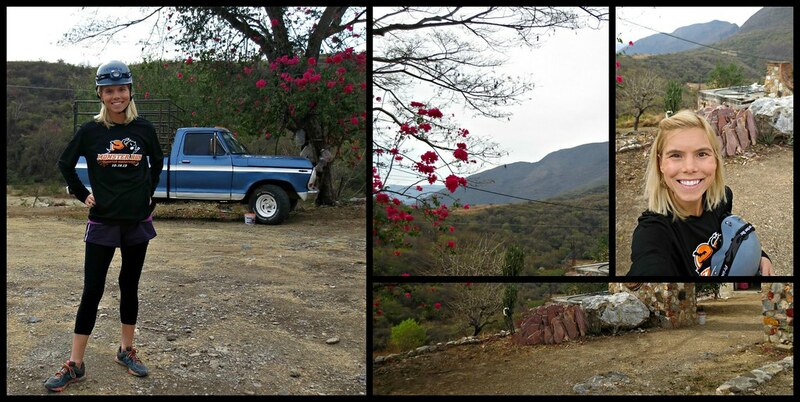 The tour began with a road trip to a small ranch in Chontalcoatlán, Guerrero. There were six of us in total. 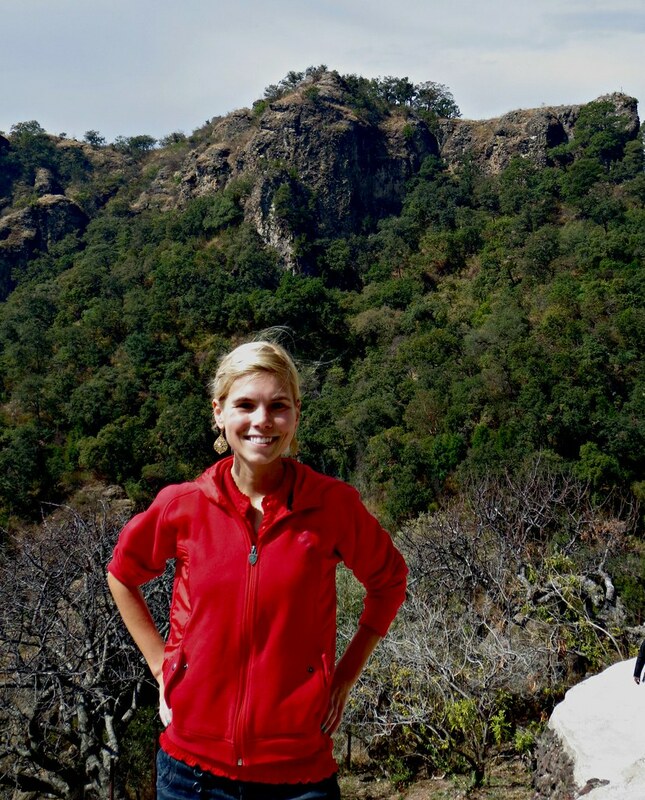 There were two guides leading the trek and also three travelers from Mexico City. 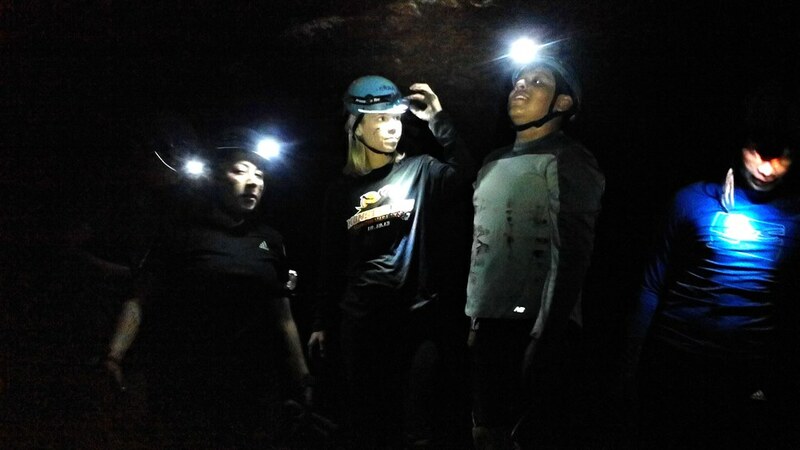 This was their first time spelunking as well, so we were all rookies, but anxious and excited to explore this mysterious cave. 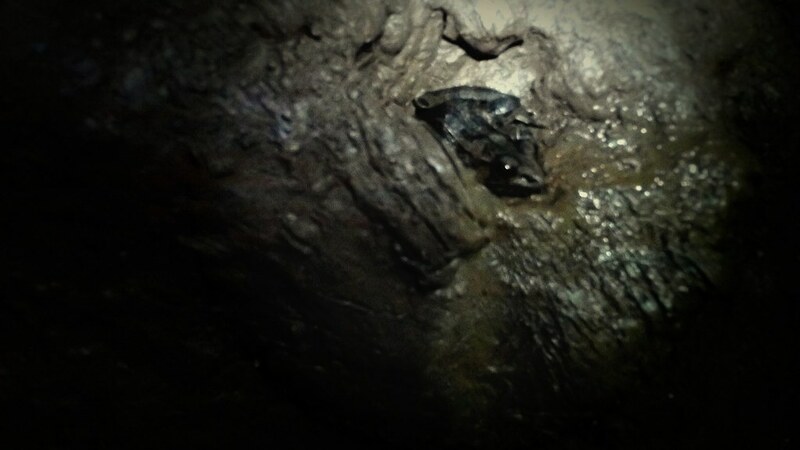 From the ranch, we trekked through a corn field, under a barb wire fence and came upon a large boulder with a small gap with which we had to slither our bodies under and enter the cave. 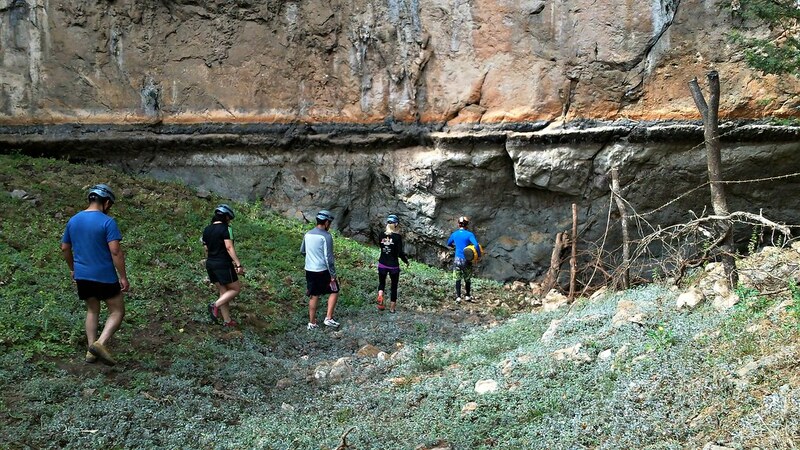 You can see the gap to the right of our group in this picture. I laid down on a bed of pebbles, faced against the giant boulder, and slowly wiggled into the cave. 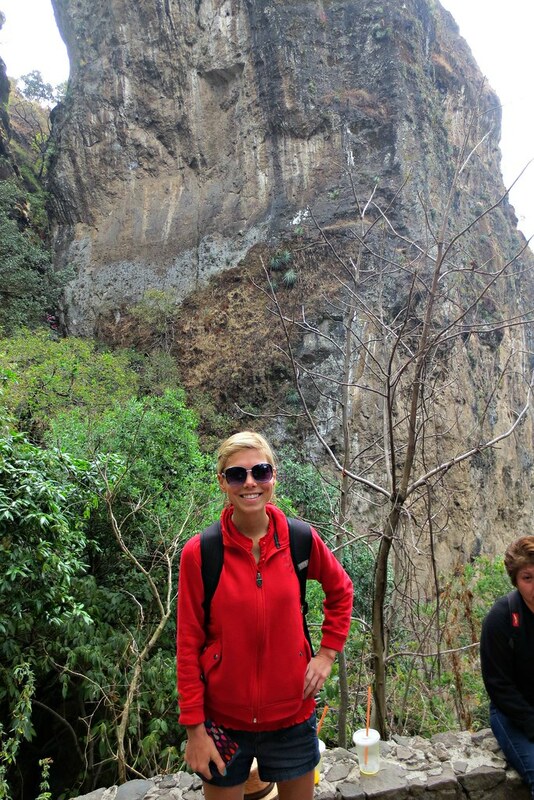 Upon entering the cave, I walked across rocks, then rappelled down a vertical cliff using only a rope to climb that was fixed with strategically placed knots. 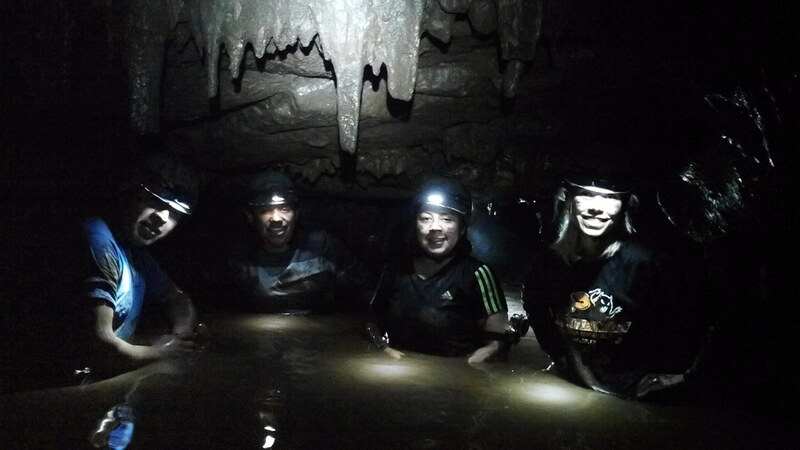 We crawled through the mud, trudged through muddy water up to our shoulders and slid down mud slides as we navigated the cavern. 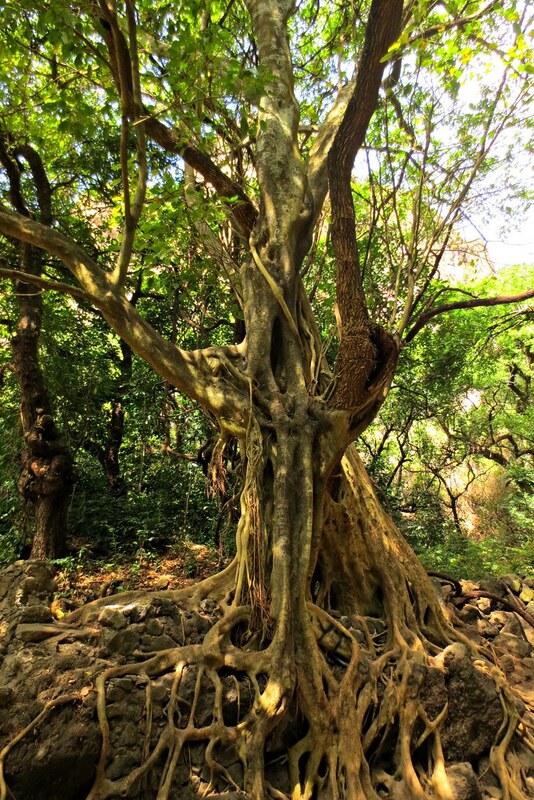 We had an amazing experience bonding with nature and each other. We also had some miscommunication, when I thought they told me a spider was laying on the rock in front of me. I told them they were crazy, because what lay in front of me had beady red eyes and a body the size of my fist. I soon realized that the word “araña” meaning spider sounds similar to “rana” meaning frog. 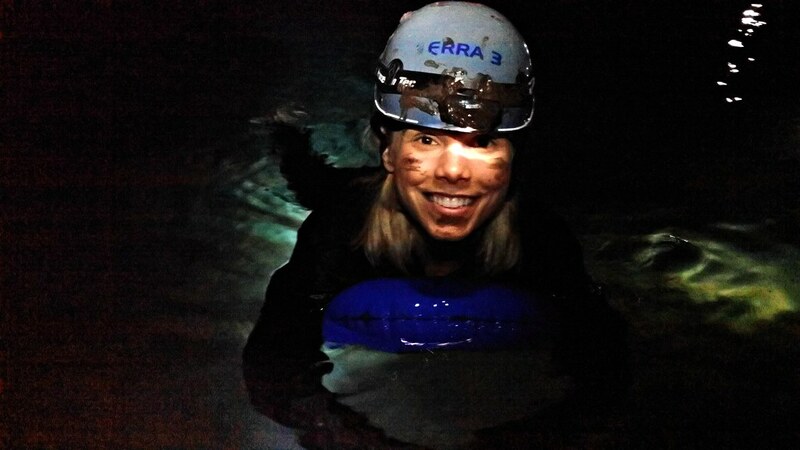 After two hours of caving, the pièce de résistance was at the back of the cave, where a pool of crystal clear blue water awaited us. 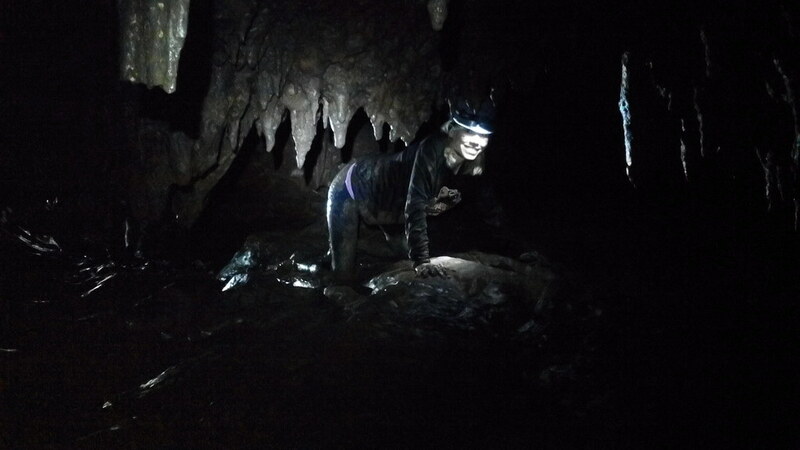 Our guides pulled small inner tubes out of their sack, which we inflated and used to paddle around the cave. 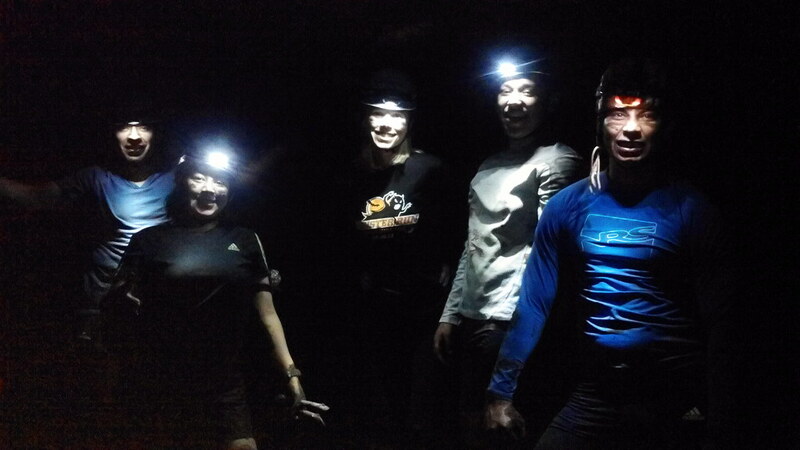 At one point, we turned off our headlamps and sat in silence to listen to noise inside the cave. All we could hear were faint echoes and small trickles of water hitting the ground. It was a magical moment that I will remember always. 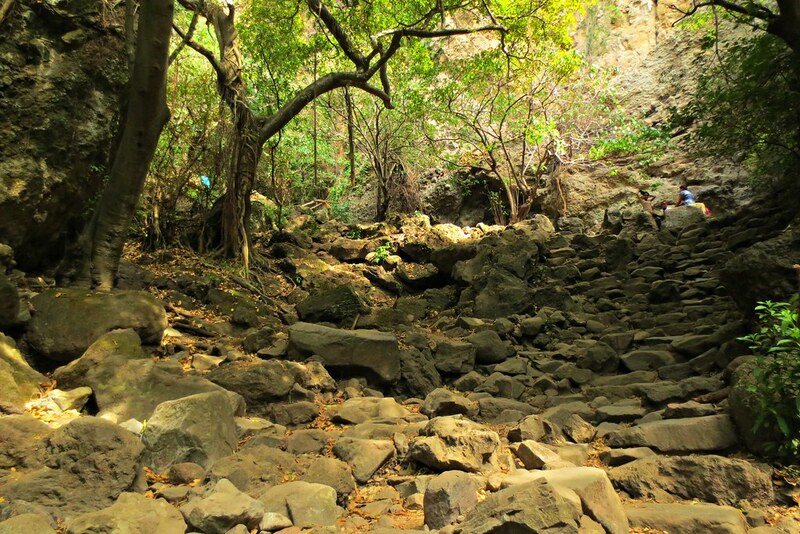 We had to leave the cave following the same path that we entered. I was amused at one point upon leaving when I saw a mud man that someone had created during a previous trek. It looked like “Frosty” the snowman, yet made of thick mud and rocks. It made me chuckle at the time. I was less impressed an hour later when I saw the same mud man and realized we were lost and had actually trekked in a giant circle and were no closer to our exit. Hah. 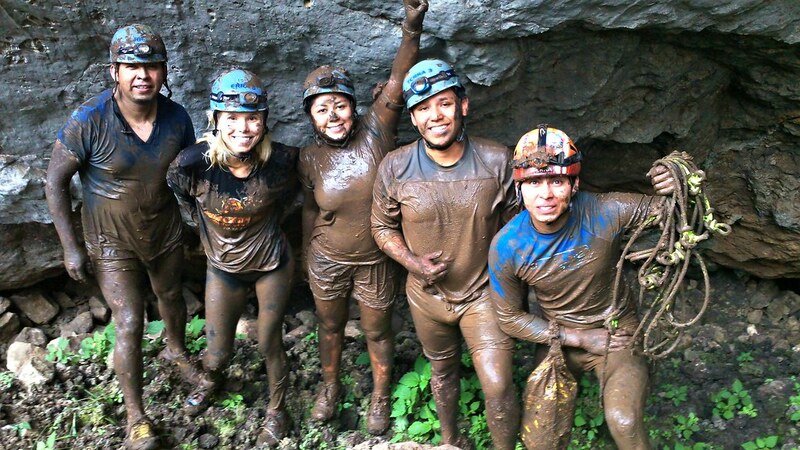 We left the cave muddy, exhausted and smiling from ear-to-ear. 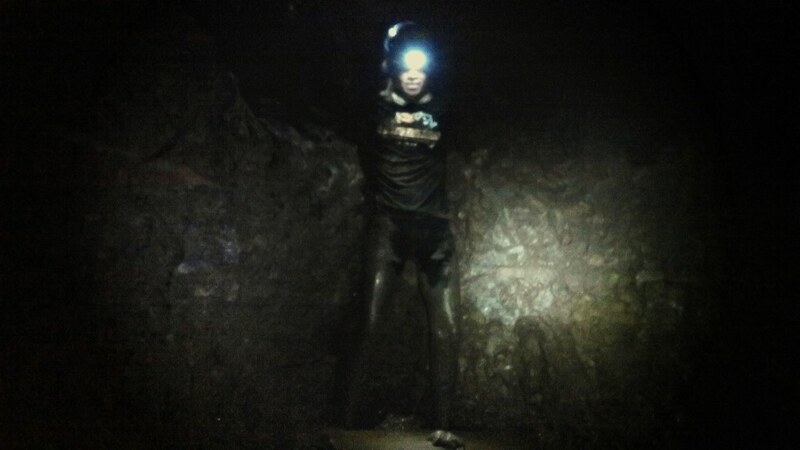 We conquered the cave. Mission accomplished! After a long muddy adventure, we had to decide how to rinse off. 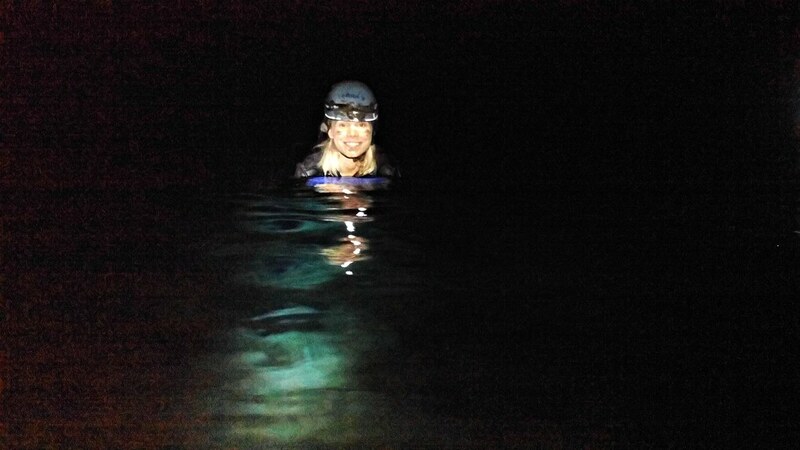 They recommended that we jump into the nearby subterranean river to wash ourselves and our muddy clothes. The rocky river was ice cold with rushing rapids that appeared uninviting and dangerous. I opted to pay the ranch owner 20 pesos for a bucket of water and a cup to rid myself of the mud caked on my clothes and skin. It was less than ideal, but I was pretty desperate. Hah. 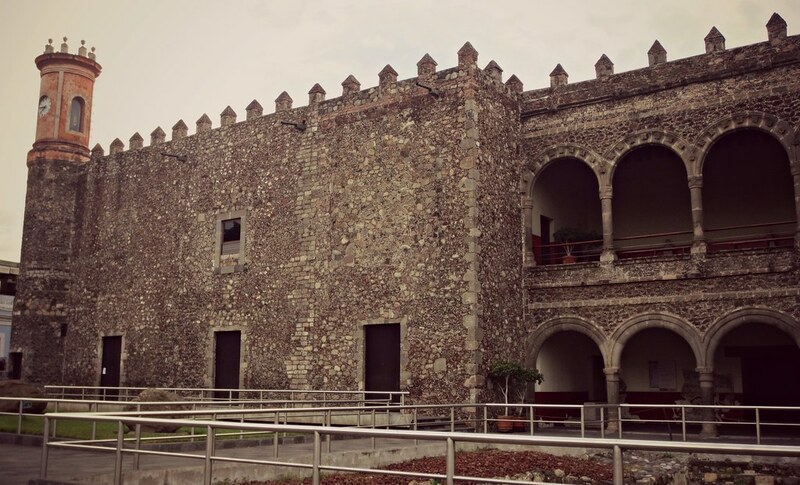 Cuernavaca is called the city of eternal spring, due to it’s temperate climate. 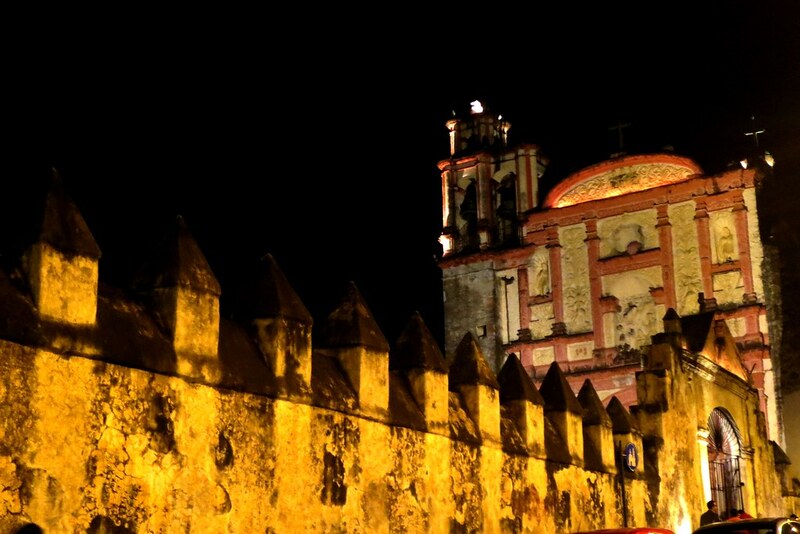 Highlights of the town include the main Cathedral and the Palace of Hernán Cortés. Since we ended the trip in Cuernavaca, I decided to find a hostel there to spend the night. To say this hostel was a nightmare, would be an understatement. Hah. I would have been better off sleeping at the bus station. It was old and smelly, and also filled with creepy senior citizens. I ended up sleeping with my pants, coat and scarf on, reluctant to make contact with the bed sheets. To make matters worse, they ran out of running water, so I could not shower off. I ended up paying to use the bathroom nearby so I could brush my teeth and wash my face. Anyway, by 7 AM the next morning I was out of there, never to look back. 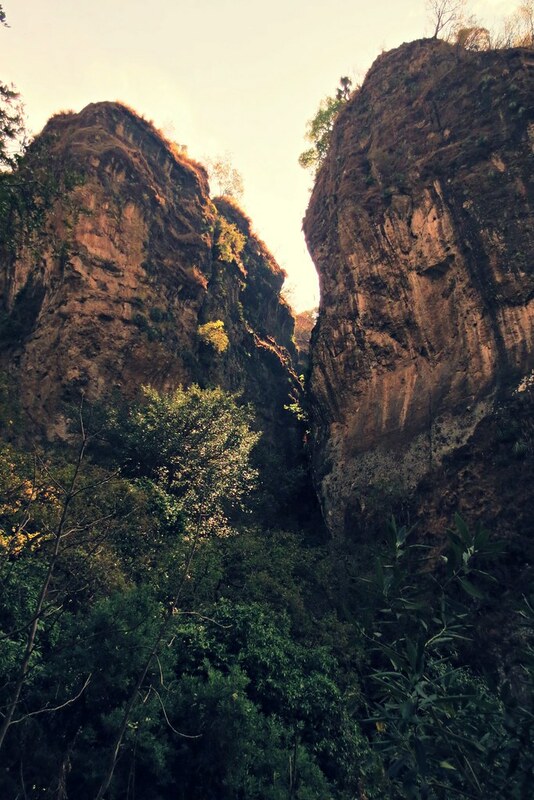 On the bright side, the sacrifice of staying in the area was well worth it, since it was close to the beautiful Pueblo Mágico of Tepoztlán. 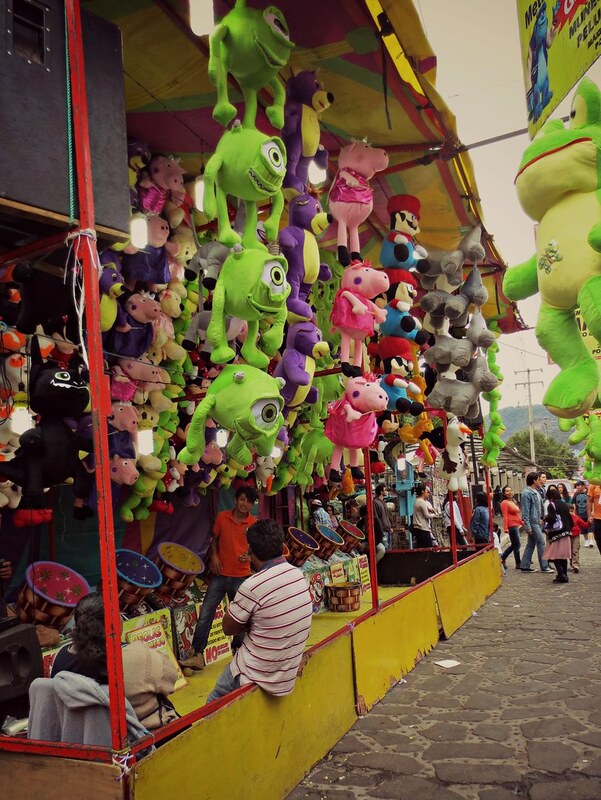 On Sunday, I journeyed to Tepoztlán to celebrate Carnaval. 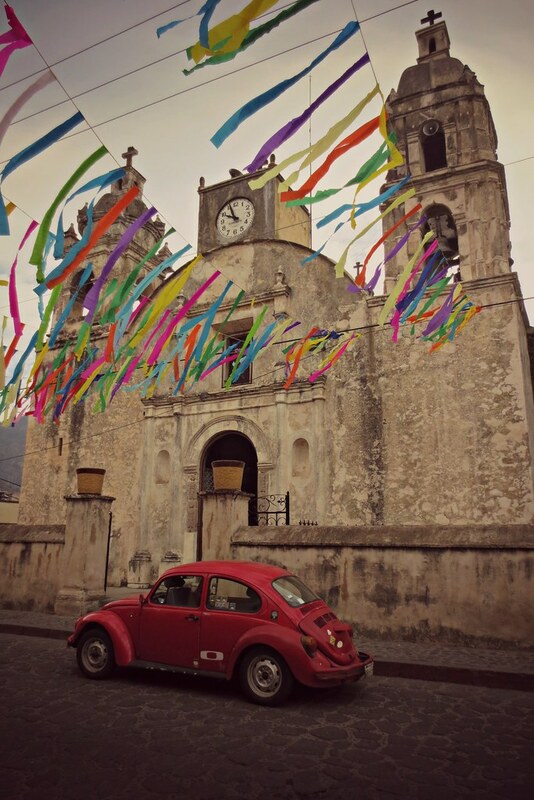 From Cuernavaca, I took a local bus for 17 pesos and arrived there in around 50 minutes. 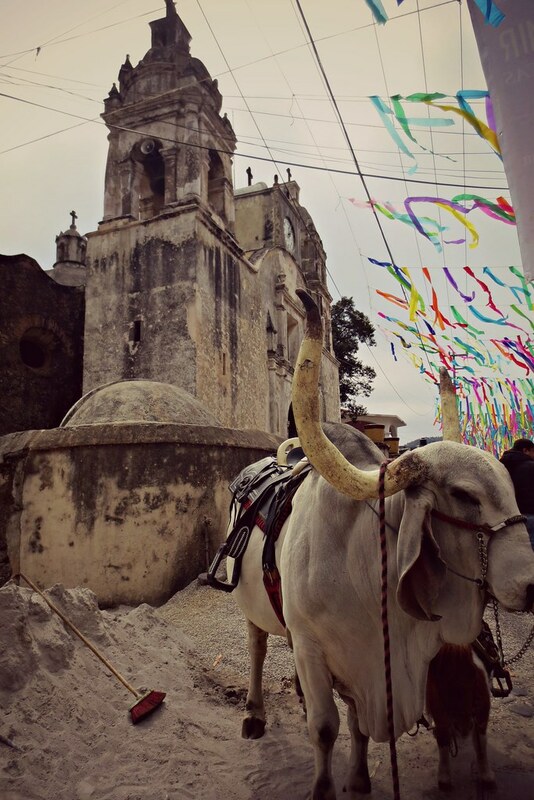 This mountainous town is popular tourist destination due to its close proximity to Mexico City, as well as its rich pre-Hispanic history. 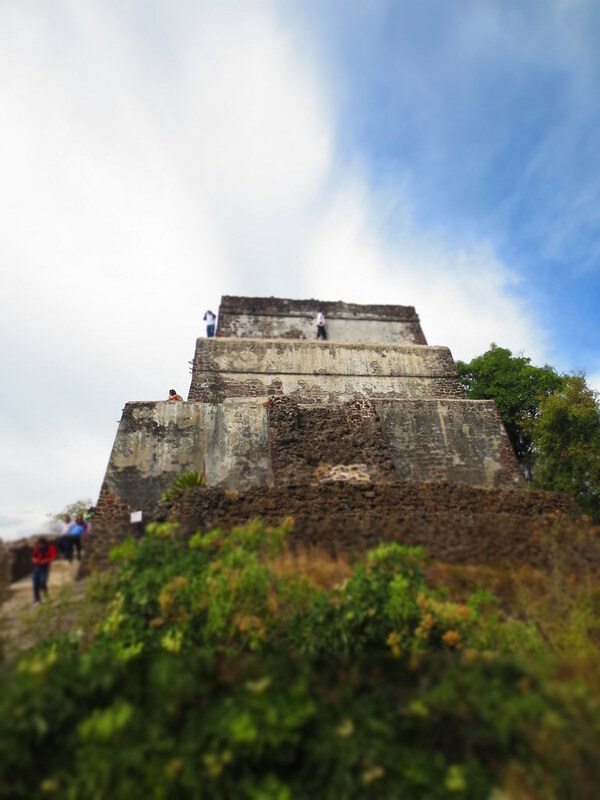 According to ancient myth, Tepoztlán is the birthplace of Quetzalcoatl, a serpent god widely-worshipped in ancient Mexico. 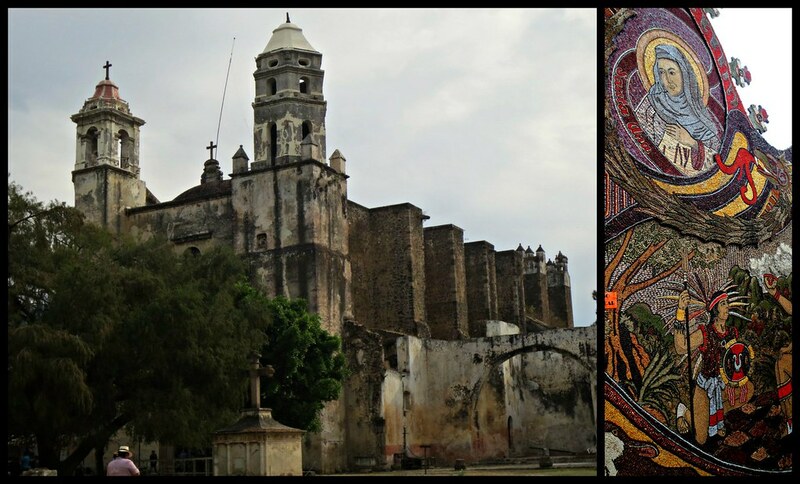 This is the main church and a mural made of seeds that decorate the entrance gate. 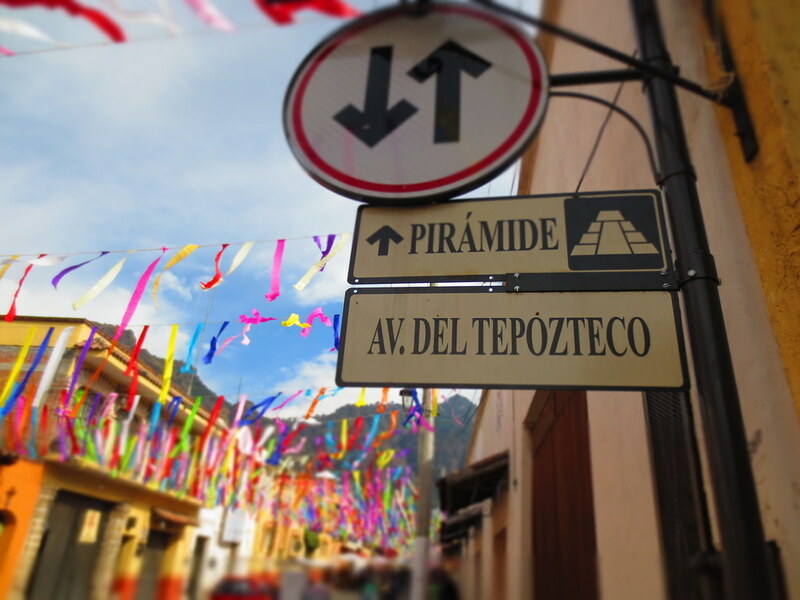 This weekend Tepoztlán celebrated Carnaval, which is the period of feasting and celebrating just before lent. 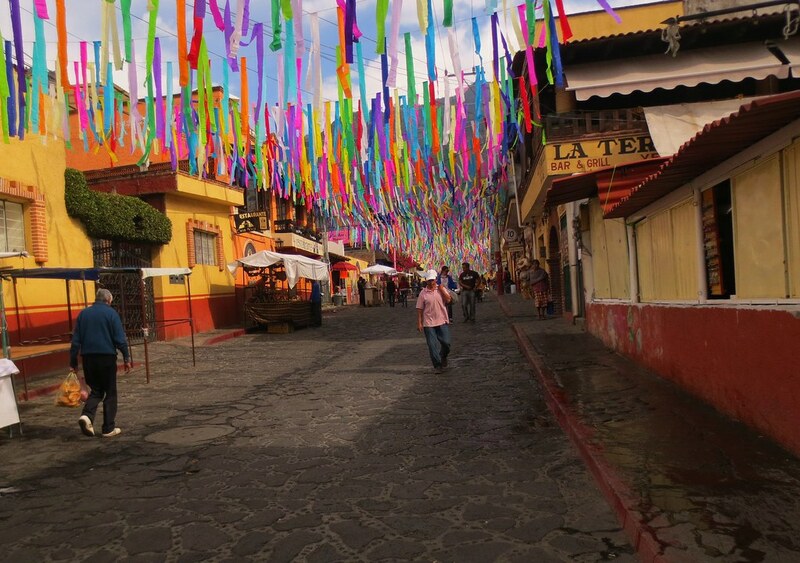 To embrace such a celebration, the town was beautifully decorated with colorful streamers. 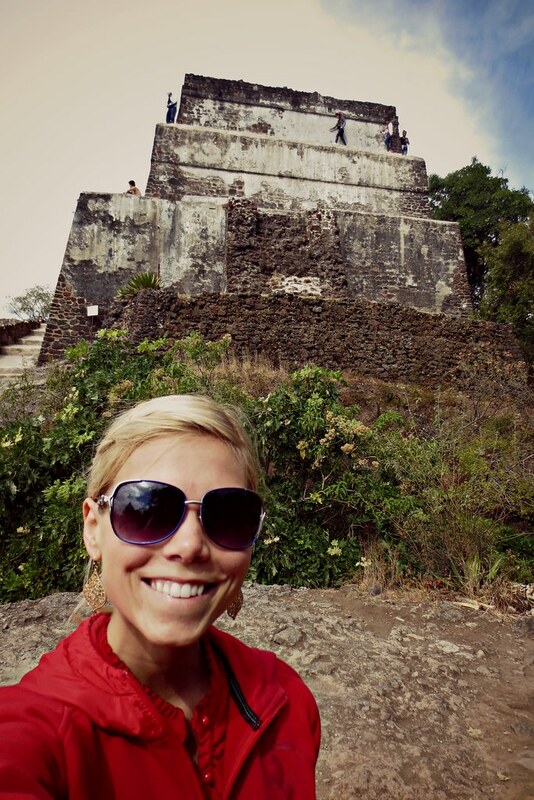 🙂 The main attraction of Tepoztlan is El Tepozteco, which is an Aztec pyramid built at the top of El Cerro mountain. 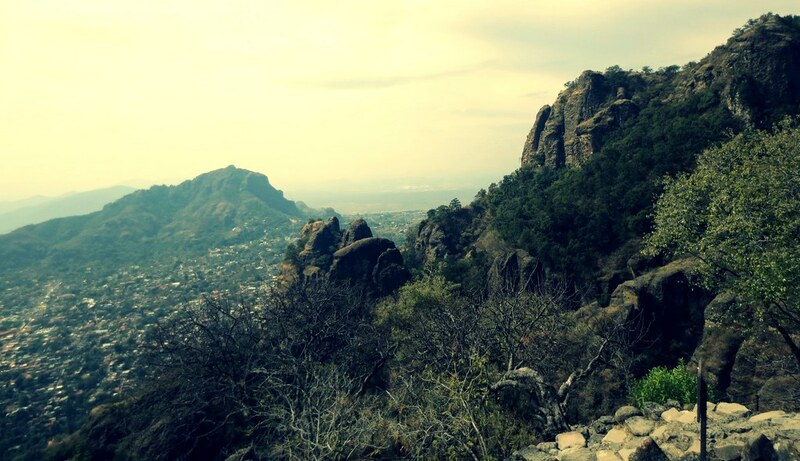 After a cup of coffee and a sweet roll, I began walking through the town toward the mountain. 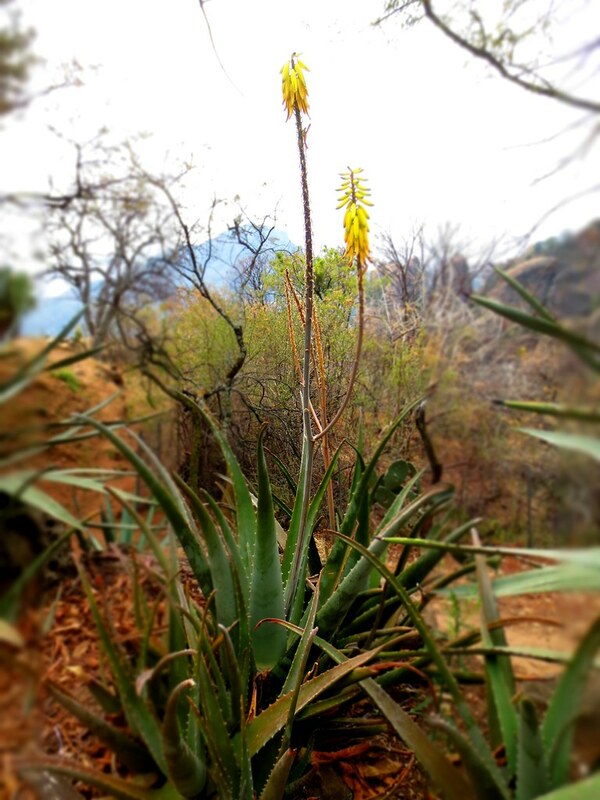 The path up the mountain was rigorous. 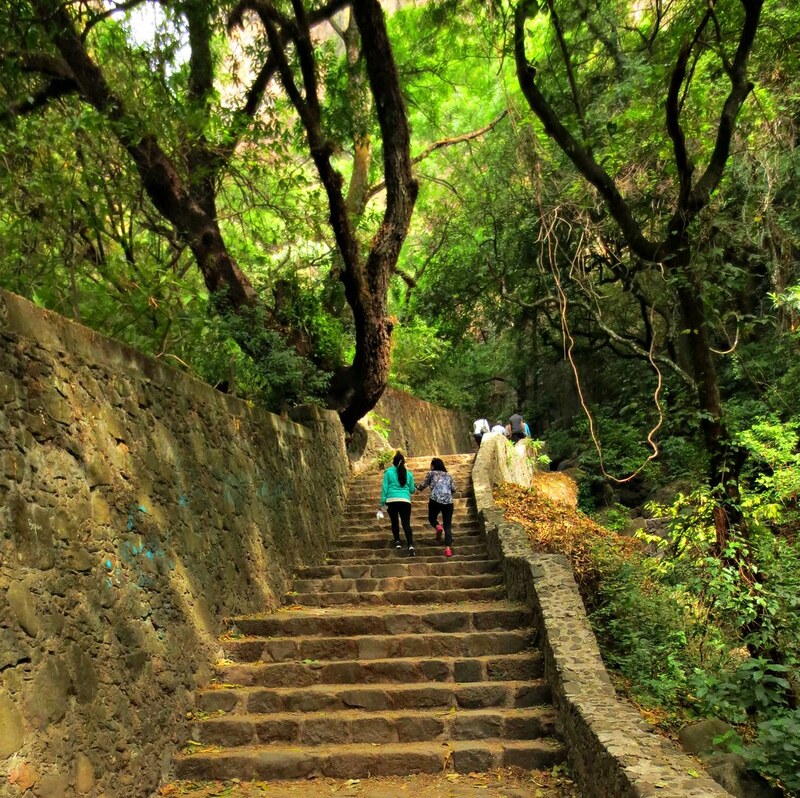 It began as a paved cobblestone trail and quickly turned into a rustic set of boulders. 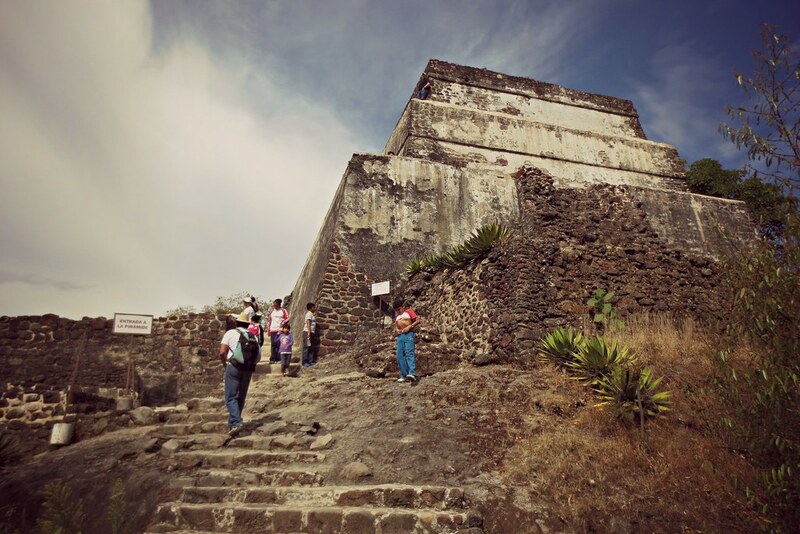 This impressive Aztec ruin honors Tepoztecatl, the pulque God, and the temple’s location offers incredible views of the town. 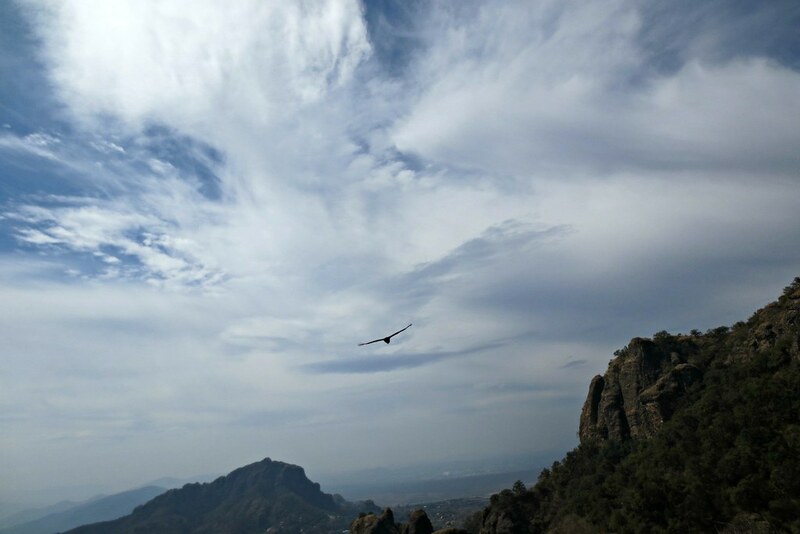 Hawks floated above the mountains and music from the town could be heard singing through the hills. After resting a while on the pyramid, I made my way back toward town. 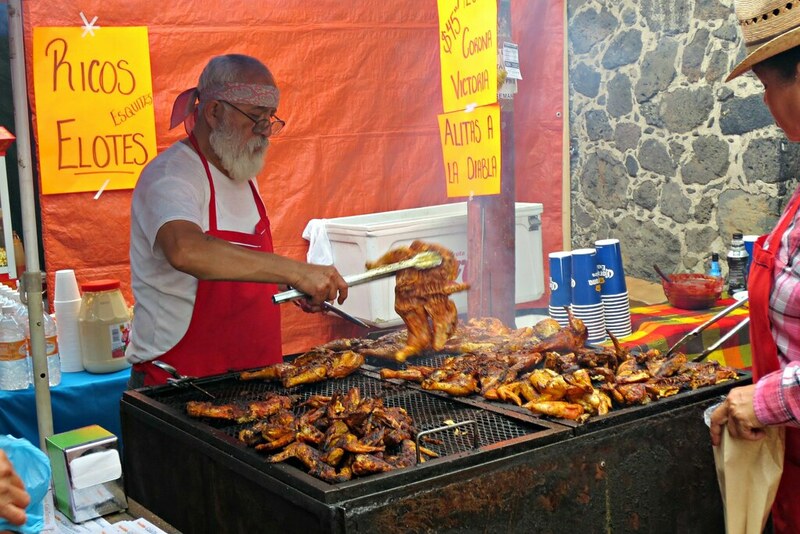 In Tepoztlán, they celebrated with food, food and more FOOD! 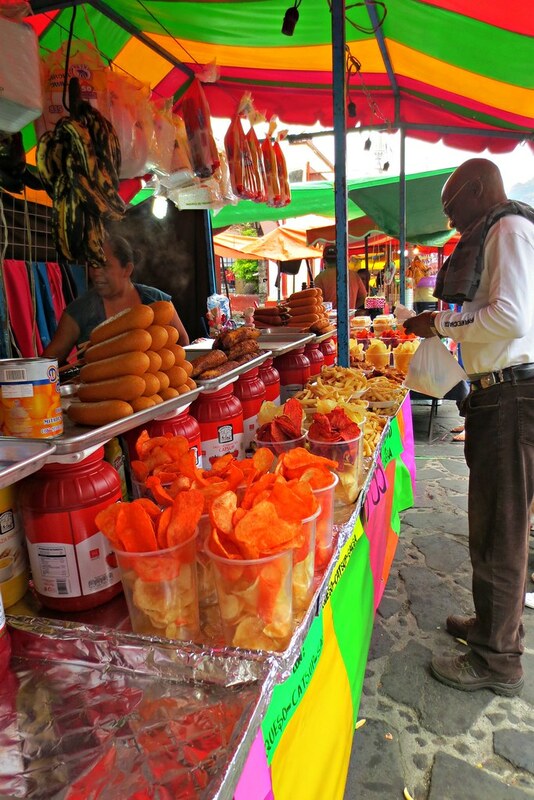 The stands in Tepoztlán put any state fair to shame! 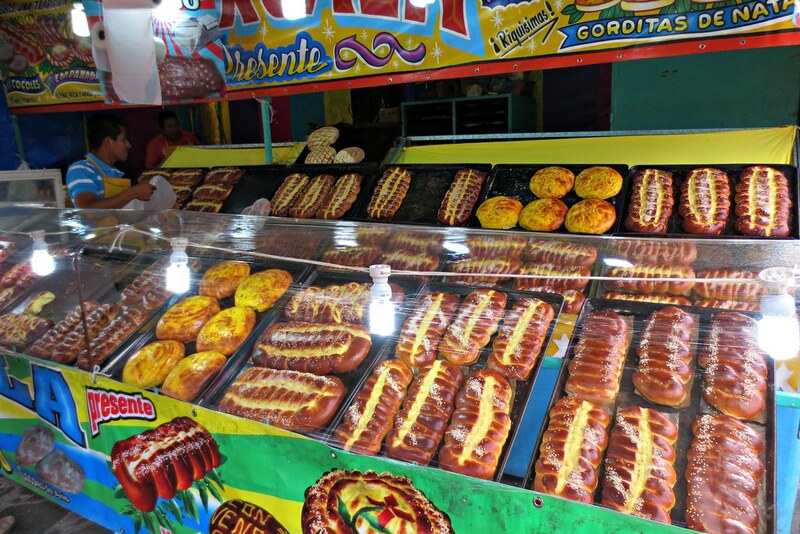 😀 Carnaval literally means to remove meat, since that is what is prohibited during lent. 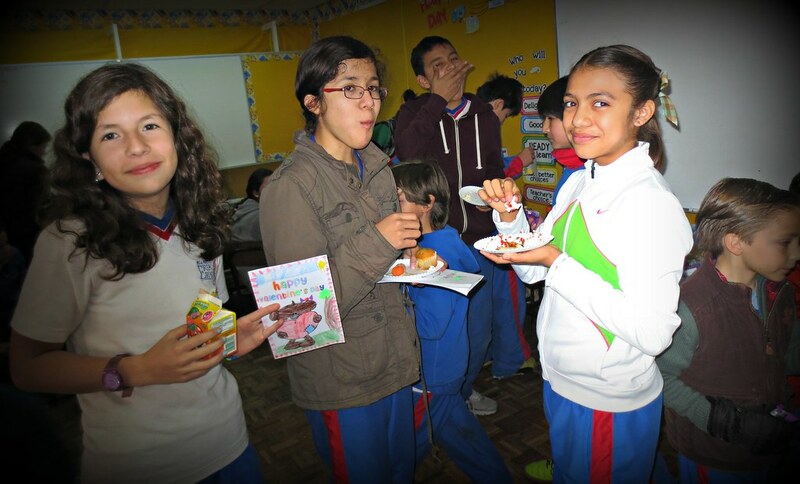 For this reason, they make sure to fill up on their fair share of delicious meaty goodness beforehand. 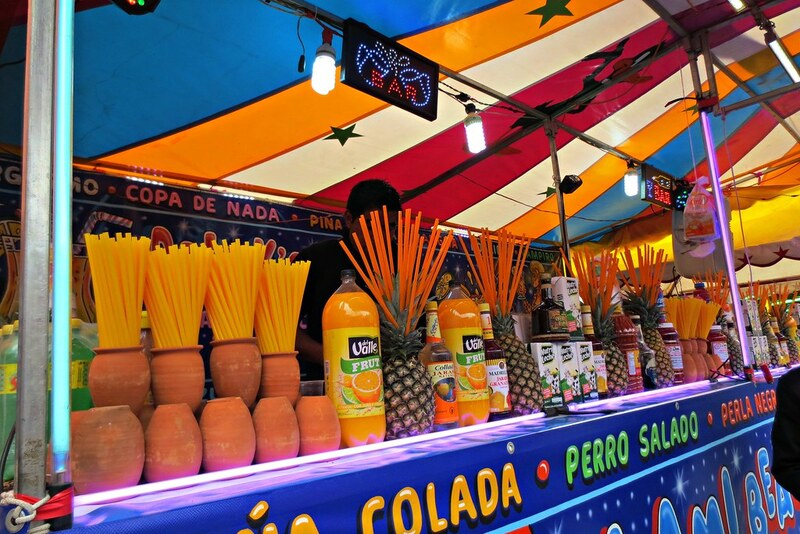 😛 Additionally, they had carnival rides, drinks, games and music. 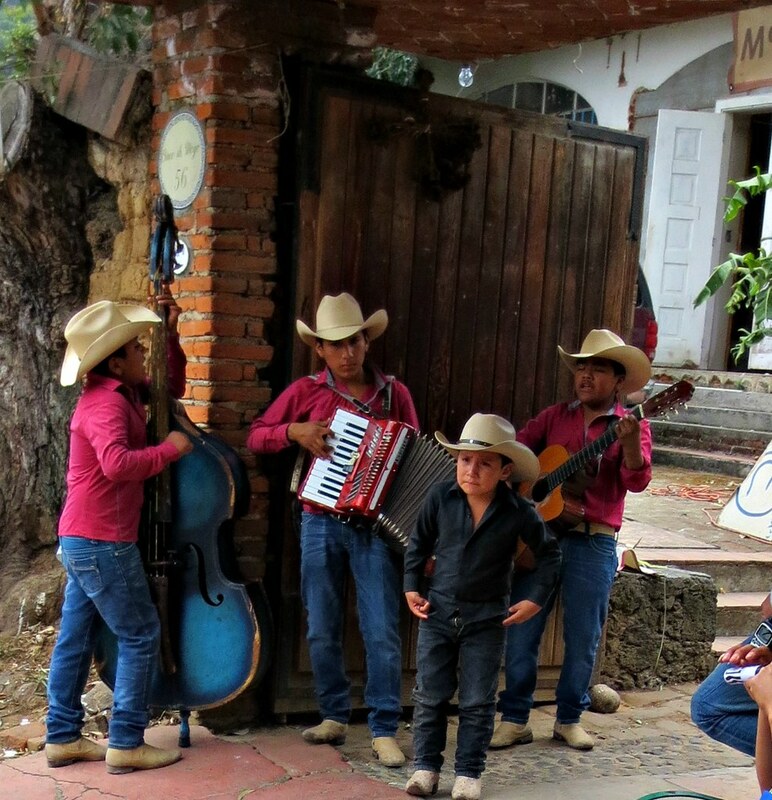 The most traditional dancers showcased during Carnaval are Los Chinelos de Morelos. Their elaborate costumes and masks serve as a mockery to the Spaniards that had invaded Mexico with their luxurious clothing and arrogant behavior. I will leave you today with a short video of dancers for you to enjoy.